The approach you take to managing a project can make it or break it. 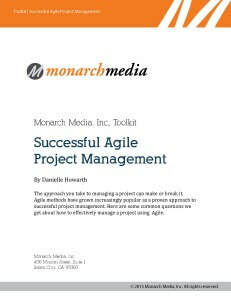 Agile methods have grown increasingly popular as a proven approach to successful project management. In this toolkit, you’ll find the answers to some common questions we get about how to effectively manage an eLearning project using the Agile approach.